Mulch landscape beds and gardens. Fertilize the landscape and garden to improve plant and soil health. Amend landscape beds and garden soil with compost and minerals. Remove and replace dead or struggling plantings such as trees and shrubs. Install or plant new edible and ornamental plantings. Renovate that tired landscape bed. Stop raking and bagging your leaves for the landfill! Fall leaf debris is nature’s most abundant recycling resource and is best used for soil protection and improvement. Mow and mulch leaves into the lawn to improve your soil. Using a mulching mower is best, but not totally necessary. Lawns benefit from a large volume of mulched leaves each fall, but may require mowing twice to chop the material into a fine debris that will work its way into the soil over the winter. Forests, prairies and other natural systems maintain soil fertility by transforming fallen leaves and branches into organic matter. Many great sources of organic matter are found in a home landscape, including autumn leaves, twigs, and garden and lawn clippings. In 2007, approximately 33 million tons of yard waste entered the municipal waste stream, representing 13 percent of total municipal waste in the US. The leaves are falling and frosty nights are cooling the soil. Whether you prefer Cedar Bark, Shredded Native Tree Trimmings, Straw or Shredded Leaf Debris, now is a great time to put your plants to bed and protect and improve your soil, with a new top-dressing blanket of mulch. Leaf debris as mulch: To improve landscape beds and garden soil, rake or blow the leaves onto the driveway, then run your mower over them to chop the leaves in a shredded material, creating a high quality, top dress, leaf mulch. Plant and soil health is greatly improved utilizing Mother Nature's fertilizer. Mulch Benefits: * Insulates the soil helping to provide a buffer from heat and cold temperatures. * Retains soil moisture in both summer and winter. * Keeps weeds out preventing unwanted competition. * Prevents soil compaction. * Improves your soil by adding beneficial organic matter as the material breaks down. 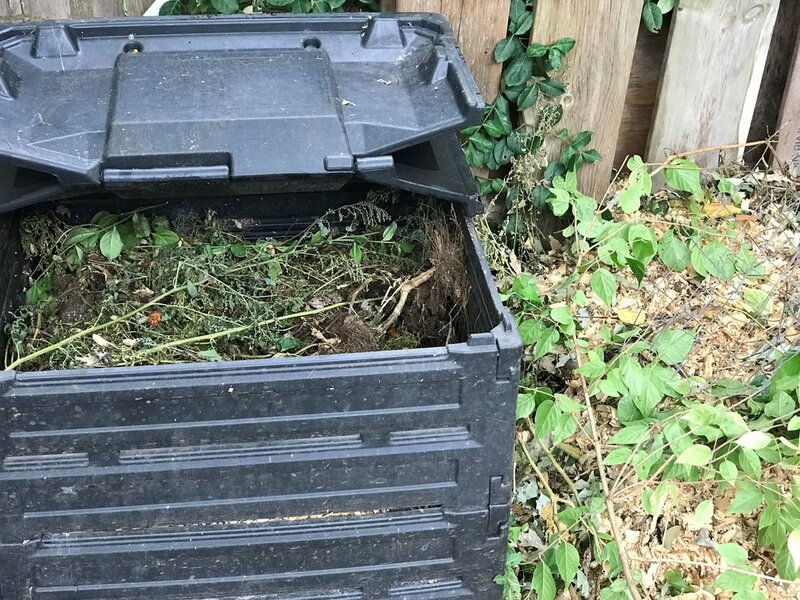 Compost: Once you have mowed a significant amount of leaf debris into the lawn, covered the landscape beds and garden with a 2-3 inch layer of leaf mulch, the remaining shredded leaf debris should be added to the compost pile. Compost is nature's living fertilizer. Combine green and brown organic material such as kitchen food scraps and landscape and garden debris, turn with a garden fork monthly and maintain moisture throughout the pile to produce an unmatched soil amendment. Compost piles should be roughly as moist as a squeezed out sponge. A 50/50 mix of green (vegetative matter) and brown (straw, wood shavings, sawdust, dry grass clippings, twigs, bark) works well, but 2 parts green to one part brown material has proven to break down faster. Any mix of organic debris will breakdown into a nutrient rich humus. Also, oxygen is critical, so be sure to mix coarse and fine textured ingredients to maintain air circulation throughout the pile. If you are not creating compost now, your pile can be started anytime of year in a sunny or shady area. Don't miss out on natures best amendment!